‘Keep an eye out for otters’, Tony called out from the water’s edge, as we set off on our Swallows and Amazon type adventure along the River Ant. 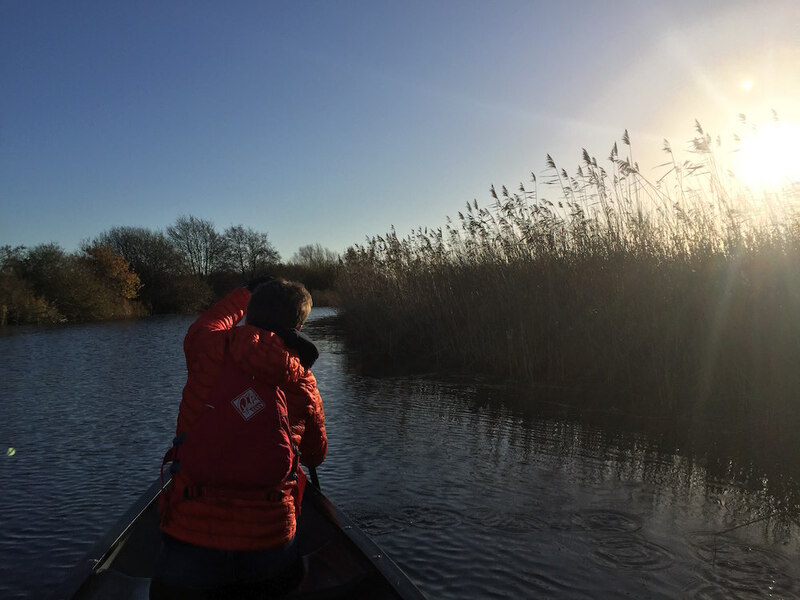 ‘But a piece of advice, don’t try to take a photo of them – just enjoy the moment,’ the owner of Bank Boats & Canoe Hire added, almost as an after thought. I’m not sure I’ve ever seen an otter in the flesh before. And sadly, I still can’t claim to have seen one, despite looking intently for the tell-tale signs of bubbles on the water that can sometimes indicate an otter is not far away. But this is only a minor disappointment considering what a fantastic morning we had. I’m not proud to admit it, but before today I’d never been to the Broads National Park. I’m not sure if it was because of it’s lack of hills, the fact that it’s not en route to anywhere, possibly because they’re a destination in itself, or simply an element of ignorance. And to be honest, until I began researching into the possibility of creating a road trip that passed through all of Britain’s fifteen National Parks, I wasn’t even aware that the Broads was actually a National Park in the first place, despite having been officially recognised as one since 1988. So what are you doing in the Broads, you may well be asking? Well, this is the first day of my 15-day Great British MINI Adventure, an idea began with a thirst for going on a road trip through Great Britain – a nation that I feel I’ve not really properly explored, despite having lived here for the best part of four decades. In particular, I’ve never actually looked at the UK’s National Parks for what they are, our ‘breathing spaces’. A seed of a thought was sown and before I’d had time to properly digest the idea, I was busy plotting routes trying to work out if it was possible to drive in between all fifteen of the Parks in fifteen days and have enough time to do what I love best – get outside and have an adventure. Several moments of procrastination later, I was looking at a 2,000 mile route around Britain. First stop, the Broads. 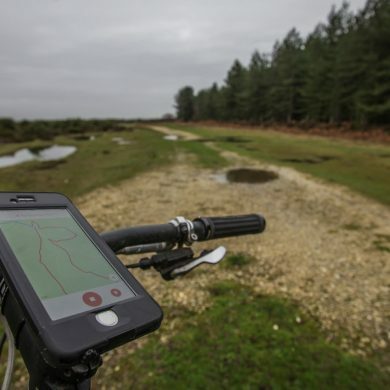 After studying a map of Lord Nelson’s birthplace, it didn’t take long to decide that there were three options for a decent microadventure challenge: paddle, cycle, run or a combination of all three. But as anyone familiar with the area will tell you, what makes the this place unique is its enormous network of canals and rivers – over 120 miles worth. The other stand out feature is that it’s really flat. Canoeing it was then! Having just written a book about fifty of my favourite races to run before you die, I was looking for a new challenge – one that was self supported, could be done anytime and have a benchmark of excellence, i.e. a standard to strive for. But having spent a great deal of my career as an adventure athlete in some form of discomfort, I wanted this trip to be fun. Therefore, the challenges had to be accessible, should start and finish with a pub/cafe and ideally be possible to complete within four hours, ideally before lunch. I’m not a canoeist, as was proven by my inability to keep the boat going in a straight line. Clearly, my J-stroke wasn’t up to scratch. Luckily, my sidekick and companion for the trip, Dave MacFarlane was on hand to steer me out of trouble. And although we’d devised a 15km out and back route that was supposed to be challenging – which it was – we quickly realised that it would be a shame to rush through this stunning landscape, teaming with wildlife. A herd of swans would approach us, at first inquisitive and then alarmingly aggressive. Herons, kingfishers and marsh harriers would fly above us, looking for something to eat. Seagulls would stand guard on the posts in Barton Broad. It almost felt a crime to make a noise in this incredibly peaceful corner of England. We stopped in a charming pub, the White Horse Inn at Neatishead, for a BLT and a coffee, relishing in the fact that we were having the time of our lives, before returning back to our starting point at Wayford Bridge. This was only day 1 of our Great British MINI Adventure, but what a way to start! 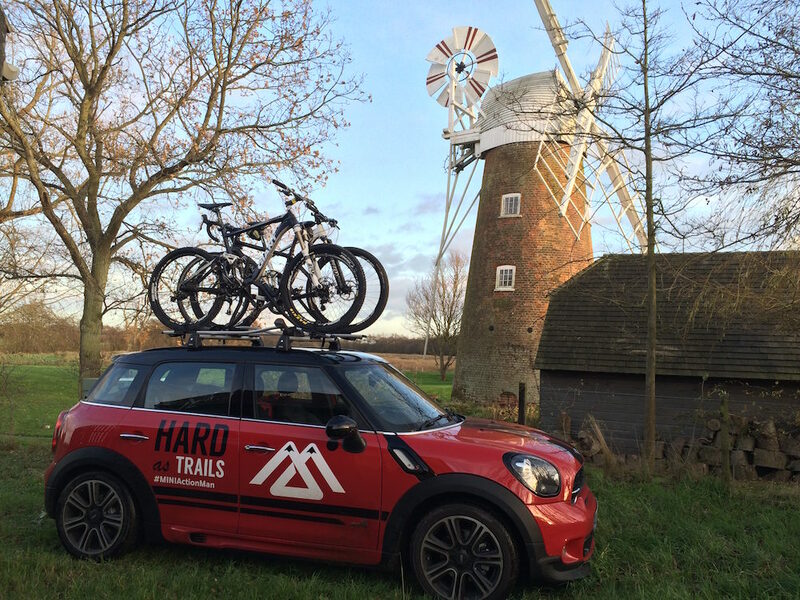 Jumping back in the our MINI Countryman, we’ve now driven another 200 odd miles to the Peak District, ready to start tomorrow’s adventure, fat biking a portion of the Peak 200 route with a small excursion by foot up Kinder Scout. 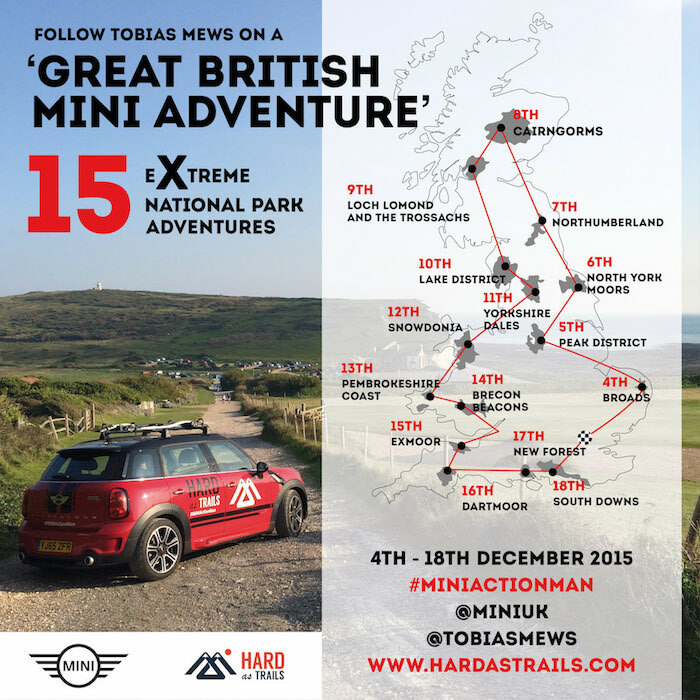 Follow us on Twitter or Instagram using the hashtag #MINIActionMan. 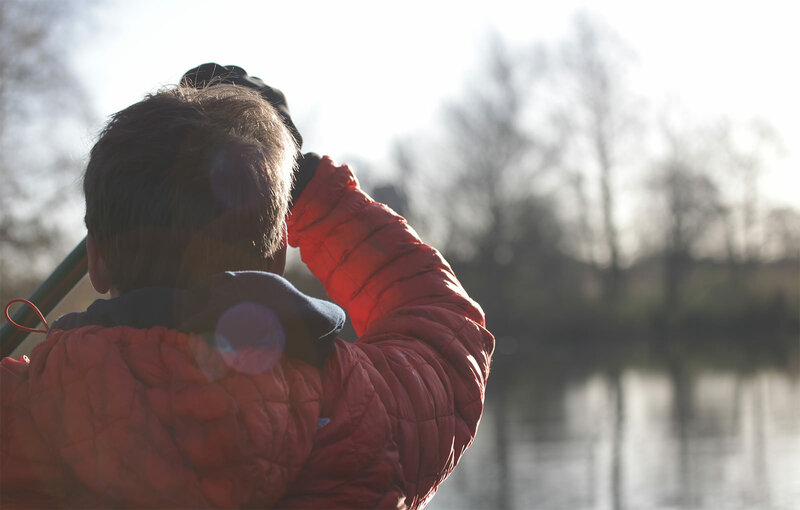 You can learn more about the Broads National Park on their website.